Domain Road vineyard is located in a sheltered sunny valley on the upper terraces of the Bannockburn sub-region of Central Otago. The vineyard area has been modified in parts by the gold mining practices of the 19th century although a large unmined area still exists and this is where we have planted our Pinot Noir. The Riesling is planted on ground that has been stripped of the gold bearing gravels, leaving the mineral rich 'pipeclay exposed. Sauvignon Blanc is planted in 2 blocks, the first on top of a small hill (Templars Hill), largely schist gravel based with an overlay of loam soil, the second next to the Riesling on pipeclay soils. The pipeclay was named for the white clay used to make tobacco pipes by the early gold miners. 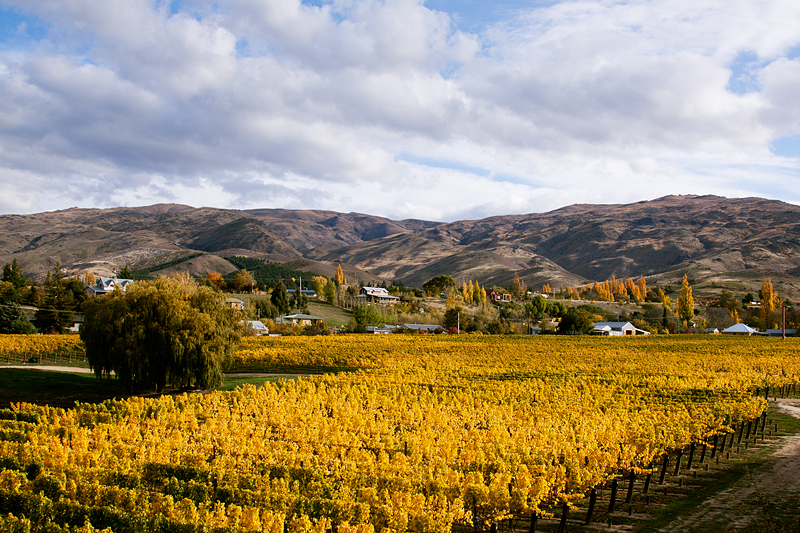 The continental climate in Central Otago provides a short hot summer, long dry autumns and very cold winters, with snowfall common. Over the height of summer the temperature at the vineyards can fluctuate up to 25 deg C (77 deg F) between the afternoon peak and night-time low. This is ideal for the grapes that we grow. The long, relatively warm autumn gently ripens our grapes, concentrating flavours and preserving attractive, balanced acidity. The viticulture at Domain Road is managed under a certified sustainable regime by Fiona Johnman, in consultation with vineyard owners Graeme and Gillian Crosbie. Our long term aim is to move to an organic regime. Domain Road Vineyard, 6.5 hectares planted area.